Kingfisherart is an exciting online and pop-up art gallery set up by Rick Brownsill and Jane Wait, designed to showcase some of the wonderful established and emerging artists who they have met over the years. 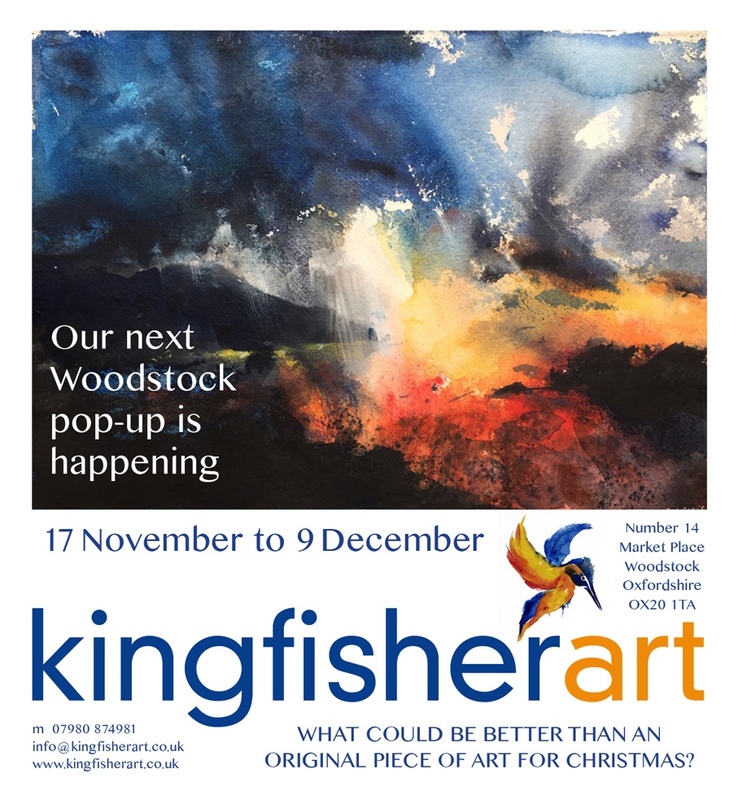 During this exhibition Kingfisher Art is at the beautiful new pop-up gallery in the centre of Woodstock. Come and visit and browse all the art, sculptures and ceramics for sale. Woodstock is a beautiful historic town and a great place to spend the day, with many interesting shops, pubs, restaurants and other art galleries. Last but by no means least, the stunning Blenheim Palace is literally a few minutes’ walk from the gallery.